One of the world’s most widely recognised alternative rock bands Placebo, have today announced their first full national headline tour in 11 years, set to take Australia by storm in September 2017. The 20 Years of Placebo Australian Tour will celebrate the bands 20th Anniversary since the release of their platinum selling debut album Placebo. 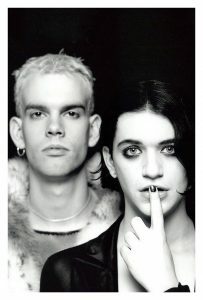 With two decades of punky raw emotion, seven full-length albums and over 14 million records sold worldwide, Placebo will be playing a set list spanning their back catalogue of greatest hits, of which some songs have not been heard live for more than a decade. Having not played on Australian soil since Soundwave 2014 and subsequent sideshows (Sydney and Melbourne), the addition of Australian tour dates to the 20 Years of Placebo World Tour has been highly anticipated by Placebo fans around the country. With their world tour already receiving rave reviews globally with Louder Than War saying “intense, relevant, pure alternative rock like no one else” and Buzz Magazine touting the tour as “nothing short of Spine Tingling”, Placebo will be giving their audiences a spine-chilling nostalgic tsunami of sound as they celebrate a 20 year journey of monumental achievements. If you’re a Placebo fan, you won’t want to miss the highly anticipated 20 Years of Placebo Australian Tour featuring 20 years of some of the greatest alternative hits known to man. An exciting pre-sale is available exclusively for Telstra customers from 12pm noon Friday 26 May until 8pm Sunday 28 May 2017 (local time). Head to www.telstra.com/placebo for more details on how to purchase. Tickets will be available to the general public at www.ticketek.com.au from 12pm noon Monday 29 May 2017 (local time). Placebo celebrated an incredible 20 years with the release of a must have retrospective hits album ‘A Place For Us To Dream’, last October through Universal Music. ‘A Place For Us To Dream’ includes singles from the early; ‘Bruise Pristine’, ‘Come Home’, ‘Teenage Angst’, to the career defining ‘Nancy Boy’, ‘Every You Every Me’, ‘Pure Morning’, ‘The Bitter End’ right up to, ‘Meds’, ‘For What It’s Worth’ & ‘Too Many Friends’. TEG Live is wholly owned by TEG Pty Limited, Australia’s leading integrated live entertainment solutions company with extensive capabilities in ticketing, digital data and the promotion of live sport and entertainment events. TEG Live has been designed to enhance the quality of the Australian live entertainment and events industry through the development and commercialisation of live content across all entertainment genres. TEG Live’s core service includes touring, exhibitions, brand partnerships, sponsorship and corporate hospitality, event management and consulting.